Having a dog is a great responsibility, especially if you’re the only one looking after it. Keep in mind that having a furry buddy also comes with sufficient monthly spending, including natural and specific dog food, shelter, toys, veterinary visits, grooming chemicals, and accessories, as well as other accessories. If you’re one to care much about your pup, you probably already have a list of clothing items and accessories you want to buy or already bought. And while different clothes for different seasons are not only easy to buy, but also fun, we cannot say the same thing about cool dog boots. On the contrary, producing companies seem to not give us, dog owners, sufficient options when it comes to putting shoes on your dog’s paws. However, we hope that the following comprehensive guide will give you all the relevant information you need in order to purchase the right type of dog boots for your furry friend. When shopping for specific things for your dog, it is highly important to take into consideration several aspects, including the fabric, the thickness, and breathability of the fabric, as well as the season for which you are planning to buy the shoes. As previously mentioned, choosing some cool dog booties is quite a challenge, especially if you don’t know exactly what to look for. We have tried our best to compile a list of all the features we consider necessary for finding the right pair of dog shoes, regardless the season. If you didn’t know by now, dogs too have different paw sizes, just like people have different shoe sizes. In addition, the size of your dog’s paws can also differ, depending on where they are positioned – the front or the hind. Thus, we consider it is crucial to first measure the width of your fellow’s paws and then compare it with the size chart available at most dog shoe manufacturers. So, in our opinion, the best dog boots must fit perfectly first. When ordering online, we do suggest finding the right fit in order for the boots to fit perfectly and your dog to walk comfortably. Remember that dogs are not humans, so they cannot wear socks to fill in a larger shoe size. On the contrary, a size too small can cause blisters and other problems to your dog’s paws. The shape of the boot is of extreme importance also, especially since there is a variety of them, depending on the manufacturer you choose. 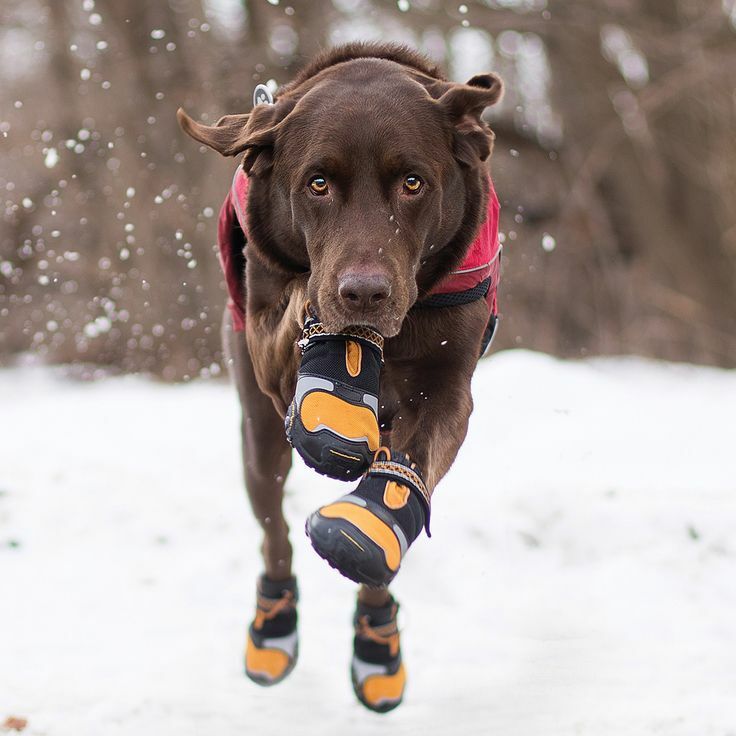 Some of these boots resemble regular human shoes or sandals, but we don’t suggest you buying these as they won’t fit your dog’s needs and might even hurt it. However, the vast majority of the dog boots available for sale are similar to socks, tied by straps in order to keep them in place. As for the length, you will mainly find dog boots in a small length, similar to the human ankle boots, but there are also some designs aiming to keep your dog fully protected during winter, similar to a thigh boot. Depending on your dog’s needs, the fabrics of shoes vary massively, from soft cotton or even silk to rough leather, plastic, and more. It is important to keep in mind the exact purpose of these dog shoes when searching for a certain fabric, as different fabrics will serve different purposes. The main categories of dog shoes include outdoor and indoor boots, waterproof boots, as well as cold and hot weather boots. 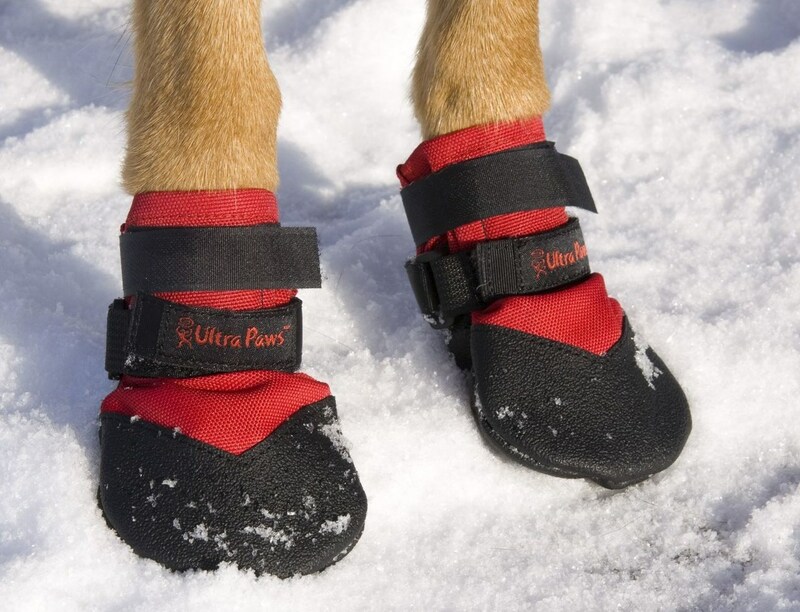 We highly recommend purchasing different types of dog boots, according to the season. However, we do suggest skipping on the interior boots, assuming your dog lives inside the house with you and doesn’t walk on rough or dangerous materials. We consider that the main relevant dog shoes categories are the ones made for winter and summer. If you live in an area with extreme temperatures during winter or summer, it is extremely important to protect your dog accordingly. High temperatures during summer can make the concrete burning and extremely dangerous to your dog. Walking barefoot on hot concrete will give you burns, blisters, and pain, so why would you want to subject your furry friend to a similar treatment? Thus, we recommend buying a pair of dog boots specifically designed for the hot season, with temperature cooling effects, and made from soft, breathable fabrics. On the other hand, winter dog boots should contain an extra layer of material to keep your furry friend warm and fuzzy. In addition, they should also be snow repellent to keep the moisture away. We thought we should mention rain boots separately, as these are mainly made from a breathable and flexible type of rubber which allows full movement while keeping your dog’s paws dry and comfortable. These are good during the entire rainy season because it will prevent your dog from catching a cold, while also maintaining your house clean whenever you come back from your daily walk and play in the park. Finding the right type of dog boot can take a lot of time, especially when you don’t know what to look for. We suggest you take your time and read some dog boots reviews to see exactly what would best fit your own dog breed. There are also plenty of online forums and personal blogs dedicated to dog accessories, so you can ask all your questions there. As we said, it may take a while, but at least you will know for sure that those dog boots are comfortable and efficient! Those who worry about diminishing their carbon print and recycling, there are also some “environmentally friendly” dog slip-ons that are biodegradable, reusable, disposable, and 100% waterproof. They are also made from a thin rubber material and will last a long time from now on. Your pet will feel good, look good, and you will make the planet Earth a better place for the upcoming generations.